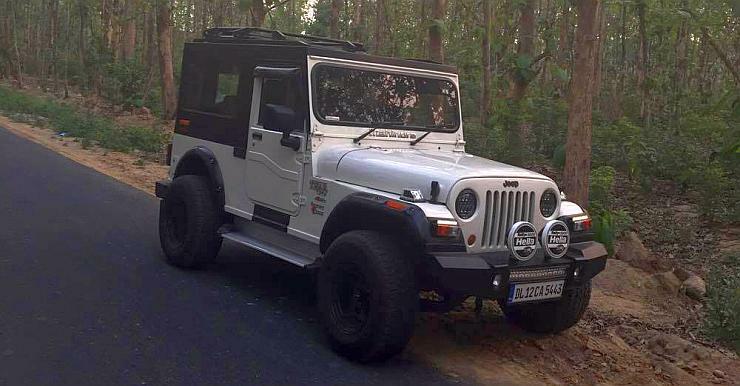 Is this customized Thar worth 10 lakhs? We think so! The Mahindra Thar is one of the most customizable vehicles on sale on India today. 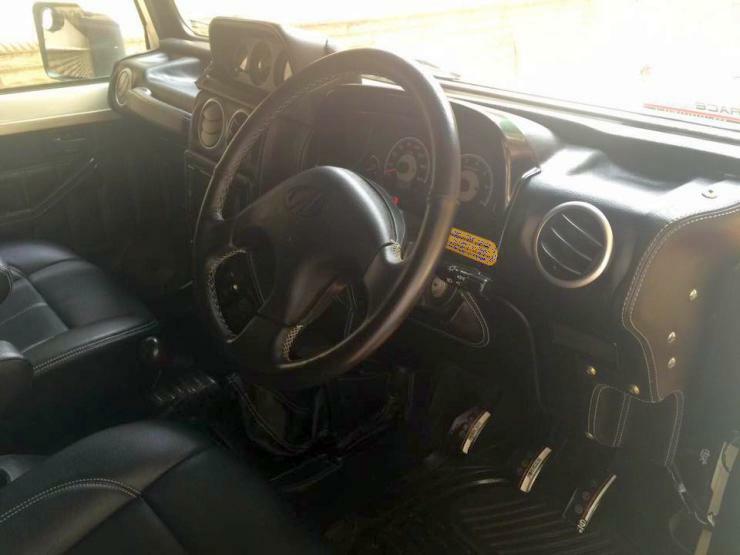 Virtually every Thar owner customizes her/his jeep to varying degrees. Some like it heavily customized while others stick to subtle modifications. 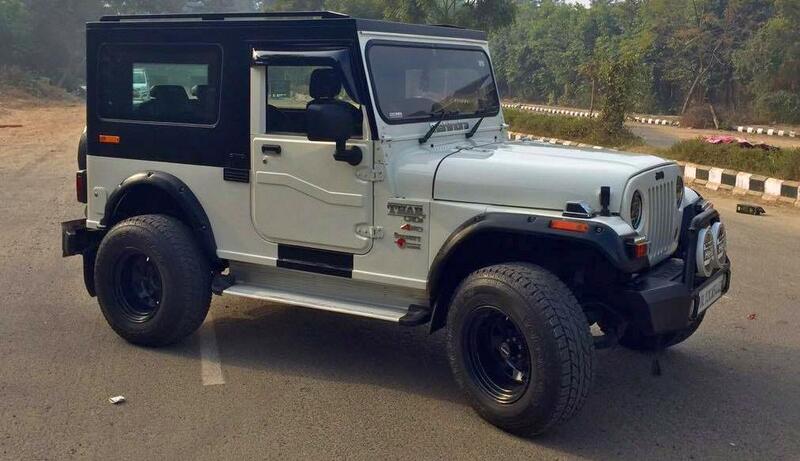 Here’s a tastefully done up Mahindra Thar. And guess what, you can buy it for it’s on sale. 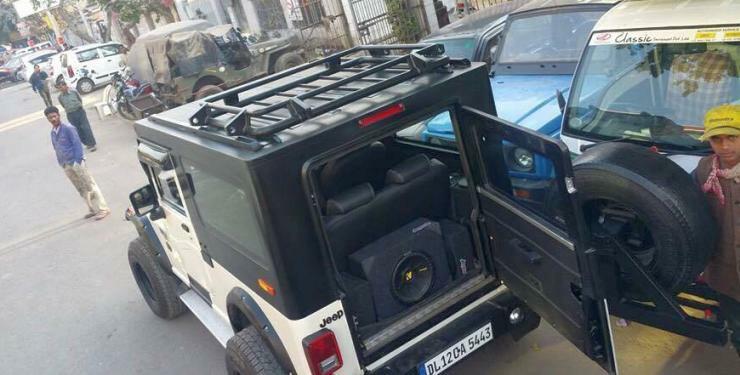 Sameer Sharma of Delhi owns this Thar 4X4, which he’s modified extensively. From the looks to the functional bits, almost everything about this off roader has been customized. Asking price? 10 lakh rupees. We think it’s worth it as the modifications alone come up to about 5 lakh rupees. 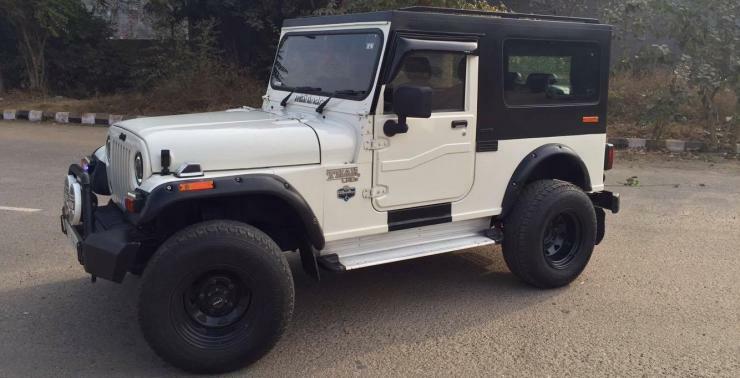 Talking modifications, this 2014 model of the Thar, which has 12,000 kilometers on the odometer gets a custom hardtop from Azad 4X4. 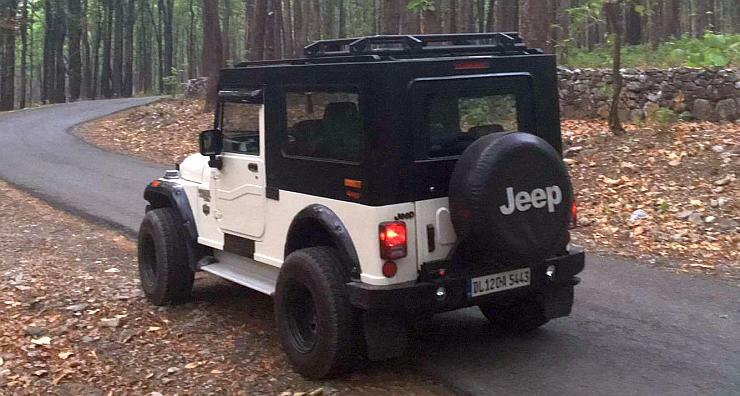 The hard top makes the cabin silent and weather proof, and also adds to the butch appeal of the vehicle. The AC does a better job as the hardtop seals the cabin better. 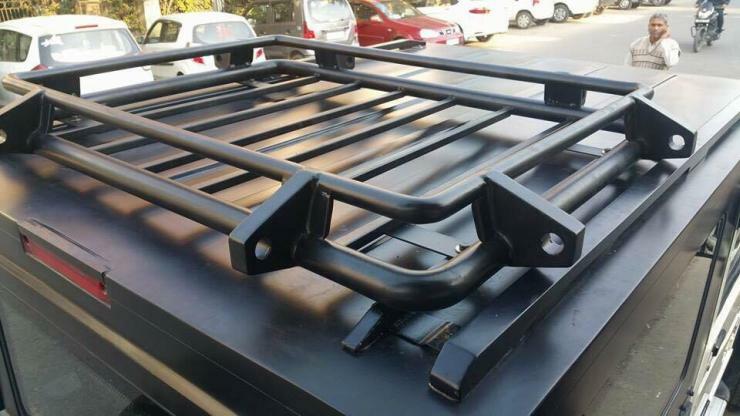 The hardtop also features a roof carrier. Lighting has been tremendously improved, and this one’s going to light up the night, both on and off the road. 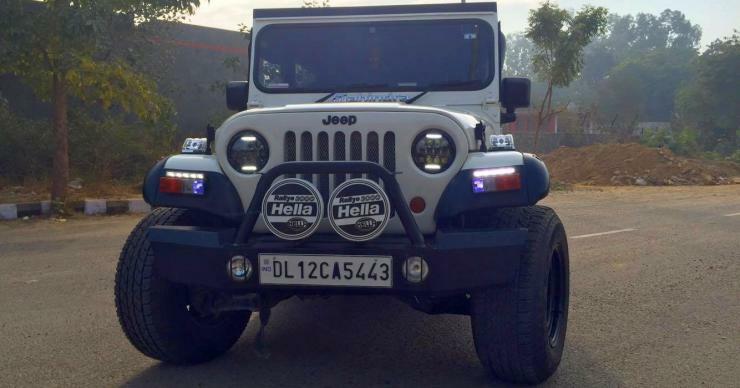 Lighting modifications include a 75 watt Matrix LED blacked out headlamps, Hella 3003 Fog lights with HID’s, Hella 100 FF series fog lamps with HID’s in front bumper, a 22 inches LED bar placed inside front bumper and Wrangler style tail lamps. 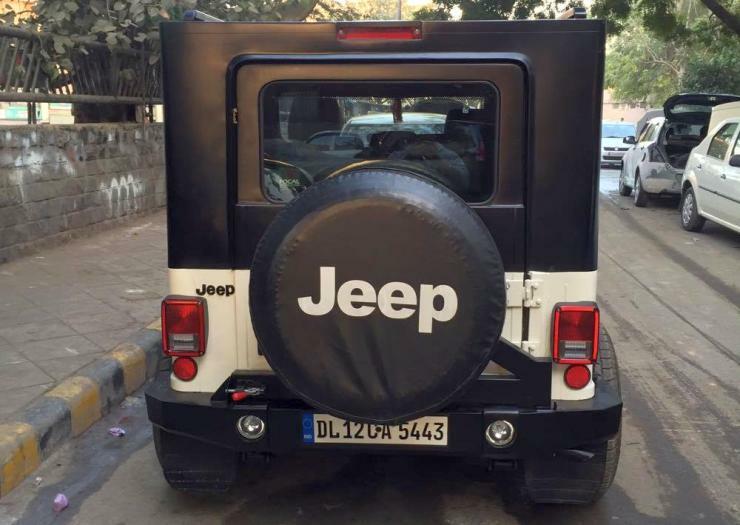 This Thar runs on 16X10 inch steel rims shod with Yokohama AT/S tyres in 265/70 profile. All four wheels get Amada comfort series shock absorbers. 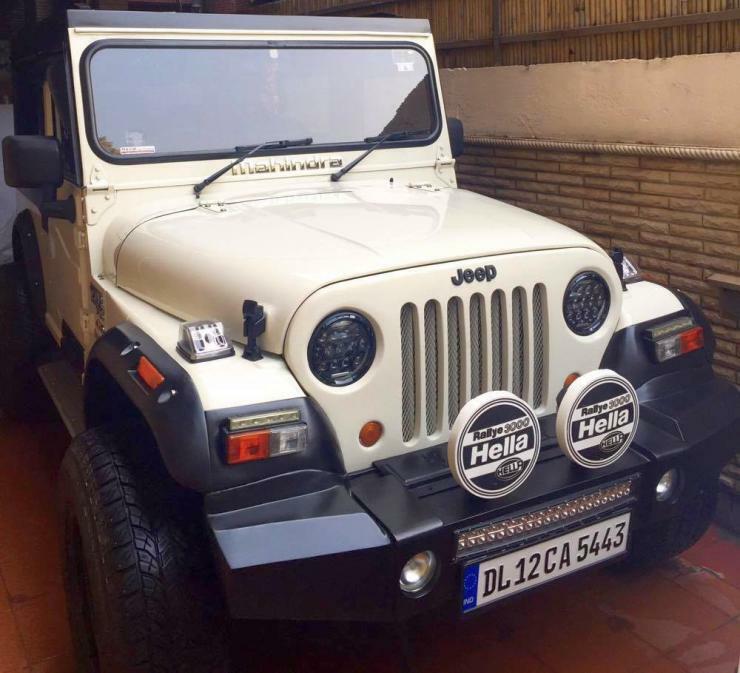 Visual changes include a Wrangler style front grille, custom made winch ready front bumper, custom made rear bumper with spare wheel mount and Hella 100 FF reversing lights, Custom 4 inches wheel arches, Original Mercedes Benz G63 AMG side marker lights, Wrangler Hood Latches and Wrangler side view mirrors. On the inside, noise insulation has been added through Damp mats. The carpeting gets a velvet finish. 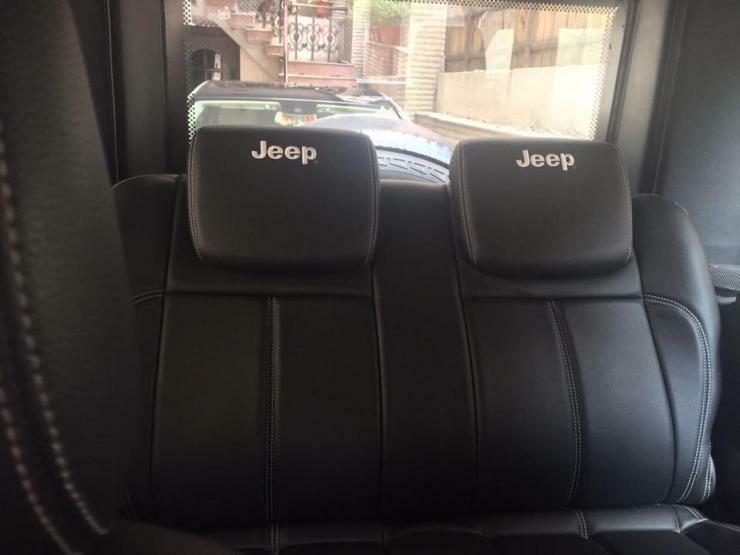 Stock seats have been swapped out for units from the Innova. 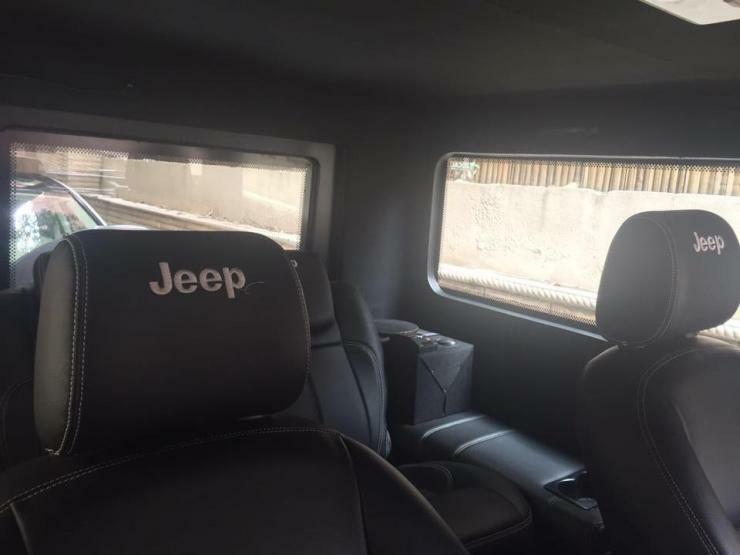 Seat covers are Nappa leatherette items. 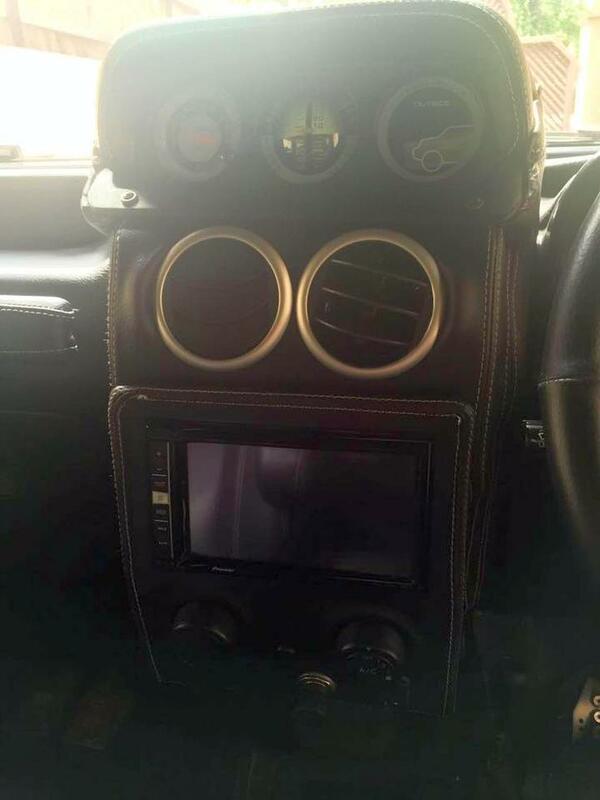 Complete leatherette covering on dashboard, steering wheel and all three door pads, Power windows with anti-pinch and auto roll up, Mitsubishi Pajero SFX central dashboard pod with inclinometer, pitchometer and outside temperature display, Round AC louvres for enhanced air flow direction and a Momo Racing pedal set are other changes. The stereo gets particular attention. A Pioneer F970BT Multimedia head unit with DVD/blu-ray/Twin USB slots/SD card slot/Apple CarPlay and 3D navigation is the head unit. Focal speakers in front, Focal 8 inches coaxial in the middle and Morel speakers at the rear with Kicker passive subwoofer (12 inches) and dual 4 channel Blaupunkt amplifiers will pump up the bass. This Thar even has a reverse camera with night vision. The owner claims that it’s never been used for OTRs. Full synthetic oil has been used and immaculate service records will be provided on request. In case you want to buy this, call Sameer Sharma on +91-9899107579.